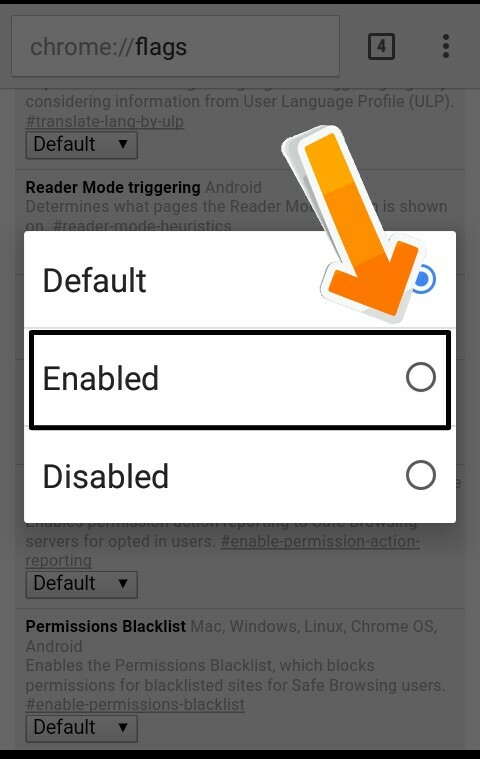 Ab hum aapko batane wale Hai ki Google chrome browser ki address bar upar Se niche Kaise Kare.Agar aap Android user Hai,to Chrome Browser Ke bare me aapko jarur pata hoga,Chrome Browser bahut Hi popular Browser hai aur ye Browser lagbhag har Android phone me already available hota Hai.Hum aapko yaha par Chrome Browser Ki Address Bar Change Karne Ki Jankari dene wala Hai.Agar aap Chrome Browser Ke address bar Ko niche karna chahte Hai,to aap is post Chrome Browser Ki Address Bar Niche Kaise Kare Se kar Sakte Hai. 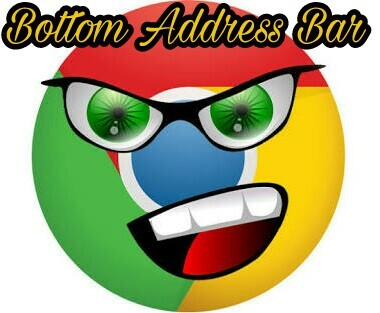 Chrome browser Ke address bar bottom Kaise Karte Hai.Aap Apne Chrome Browser Ki Address Bar Ko up Se down karke Chrome Browser Ko ek naya look de sakte Hai.Ya phir agar aapko Chrome Browser Me address bar Ke upar rahne Se kisi bhi tarah ki dikkat ho rahi Hai,to aap address bar Ko niche kar sakte Hai.Yaha mai aapko jis tarah se chrome browser Ke address bar Ko niche karne Ka tarika bata raha hu,Aap is tarah se chrome browser ki aur bhi bahut sare feature Ka use kar sakte Hai.Chrome Browser Me kuchh features Hidden hote Hai,Jisko aap is post ki help se Enable kar sakte Hai.Abhi mai yaha aapko only Chrome home Enable karne Ka tarika bata rahe Hai.To chaliye dekhte Hai ki Chrome Browser Me address bar ka jagah Change ya upar Se niche Kaise Karte Hai. 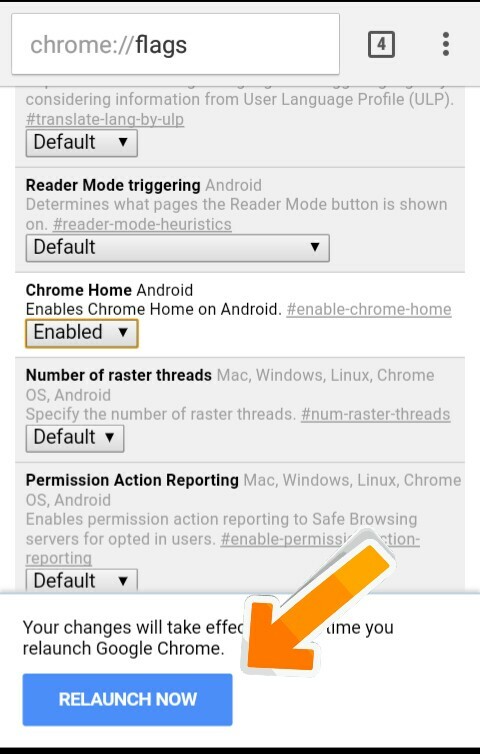 Yaha mai aapko ek secret tarike ki madad se Chrome Browser Me address bar niche karne Ka step bata raha hu,Jisse aap aur bhi bahut Se Chrome Browser Ki features Ko Enable karke use kar sakte Hai. 1. Sabse pahle aap Apne Chrome Browser Ke address bar me chrome://flags type karke search button par click Kare. 2. 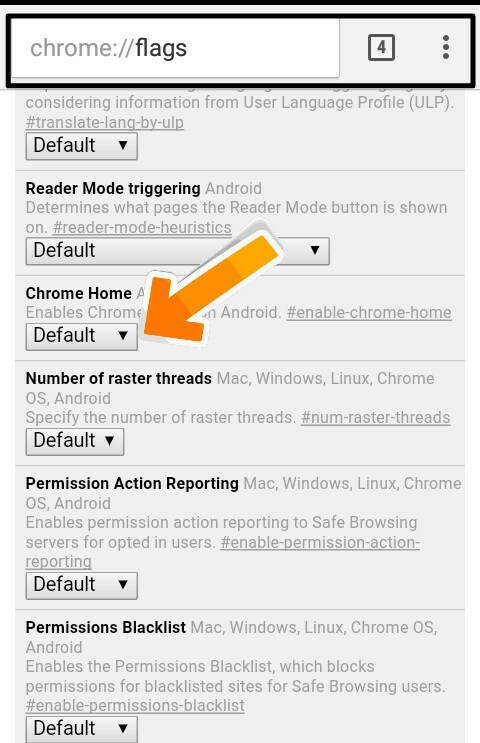 Phir aap Chrome home find Kare aur default ke aage aero icon par click Kare. 3. Phir enabled par click Kare. 4. Ab ek Notification show hoga yaha aap relaunch now par click Kare. Ab aapka Google Chrome Browser phir Se launch ( open ) hoga,ab aap dekh sakte Hai ki aapke Browser Ka address bar niche ho chuka Hai,to is tarah se aap kisi bhi Android mobile Ke installed Chrome Browser Ka address bar niche kar sakte Hai.